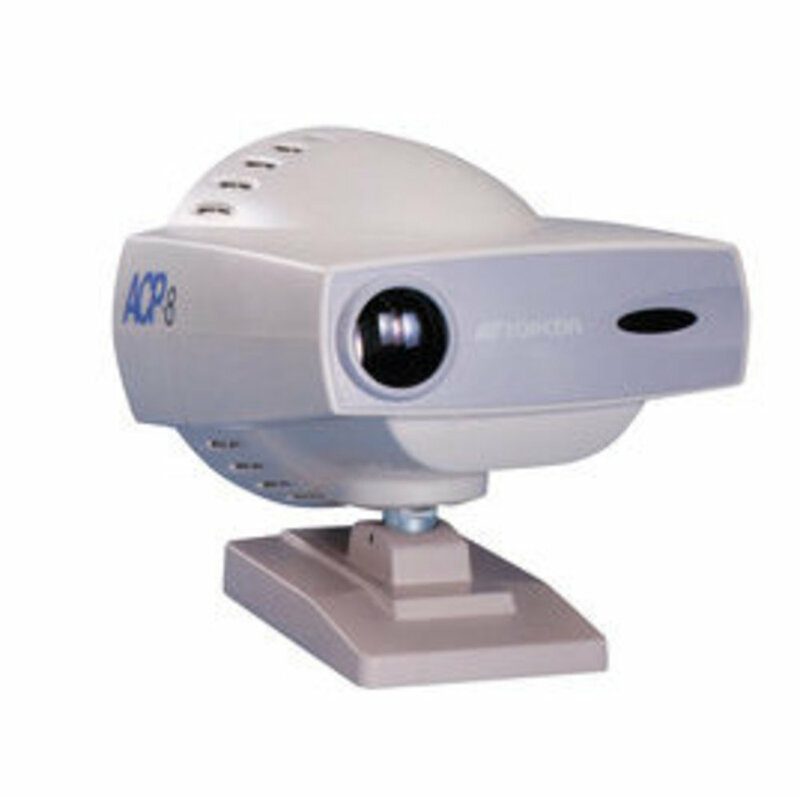 The Topcon ACP-8EM Auto Chart Projector provide improved sharp and clear image projection and fast chart rotation. A cordless remote controller allows instant projection of the 30 test charts at a rate of 0.03 seconds per frame. In addition, the ACP-8EM Chart Projector offers 3x5 character charts with a wide projection size (330x270) for fast and efficient testing.